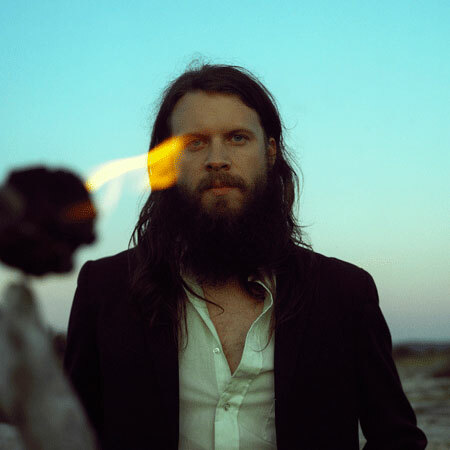 Josh Tillman kicked off 2012 by abandoning his post as anchor of folk rock titans Fleet Foxes, leaving a burgeoning cash cow due to his apparent distaste for the constant solemnity that such a role demanded. He promptly created the character of Father John Misty, releasing Fear Fun in the acerbic tone of a psychedelic shaman turned social critic. He traded the beard and coffee house King aesthetic for the hip swiveling, whiskey-drenched confidence that’s required of any proper front man. Can you blame him? Isn’t every mid-life crisis basically just a man’s desire to assert his inner Mick Jagger? Love or hate the Misty persona, few can argue that the move has been a wild success relative to Tillman’s previous solo releases. However, the character presents an identity crisis from a career standpoint. Does Tillman put Misty to bed as a one-off, or attempt to make a career out of it as Mac Rebennack achieved with his alter ego Dr. John? This is a score that only time and Tillman can settle. This week, I was reminded of the artist formerly known as J. when Aquarium Drunkard posted his contribution to the 2009 tribute compilation Introducing Townes Van Zandt via The Great Unknown. Here, Tillman delivers a stark, macabre rendition of Van Zandt’s “My Proud Mountains,” displaying the serious side that has been lost since Misty took the stage. It’s a beautiful version that works in contrast to the twangy, cowboy ballad that Van Zandt offered up on his 1969 sophomore LP Our Mother Mountain. The track made me wonder whether this side of Tillman’s personality is still lurking somewhere, readily accessible. Earlier this month, Omnivore Recordings released a compilation of previously unissued studio tracks and demos from Van Zandt’s 1971 – 1972 work, entitled Sunshine Boy. Listen to Tillman’s take on “My Proud Mountains” via the YouTube link below.